Choking can happen as a result of heightened psychological stress. This occurs when playing in an important competition, or even when there is an increased personal pressure e.g. when playing against a rival. These increased environmental demands e.g. the fear of failure, can subsequently increase stress and anxiety. This can lead to an individual evaluating their ability to cope with these demands, heightening arousal levels and causing physiological (e.g. increased heart rate) and psychological responses (e.g. self-doubting and overthinking). 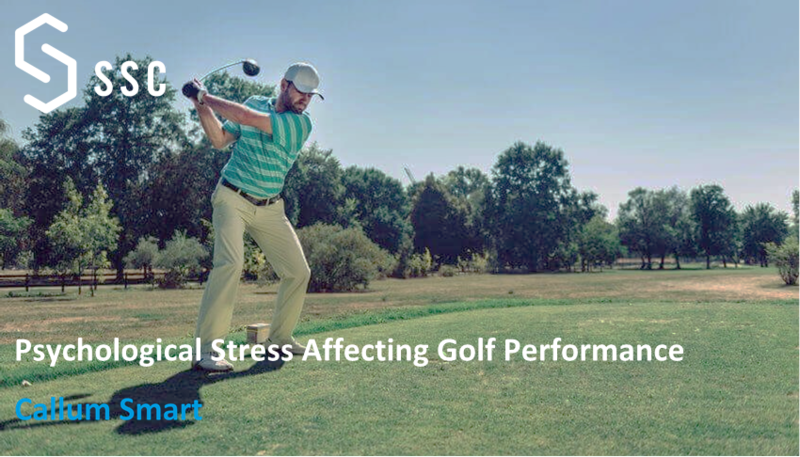 Another way the stress may cause performance to decrease is the distraction theory. This states that increased stress can lead to an individual’s working memory and attention being taken up by irrelevant stimuli, causing them to miss important stimuli associated with the task in hand. Behavioural consequences of this are that the individual becomes tense and their movements become less fluent and autonomous, therefore less successful. Heightened psychological stress is associated with an increase in psychological arousal. Individuals displaying high levels of cognitive anxiety follow the catastrophe theory. This model suggests that as arousal increases, performance levels will increase up to an optimum point. Further increases in arousal beyond this point causes a sudden, catastrophic drop in performance. Performance will continue to deteriorate if arousal levels continue to rise, causing the individual to choke. However, unlike other theories of arousal, the catastrophe model states that following the performance decrease, if arousal then returns to below the level that the decline in performance occurred, that performance is able to recover and return to optimum. If you find yourself in a situation where increased stress is affecting your performance, SSC recommends using a breathing technique to induce rhythmic breathing. This should reduce the effects of an elevated heart rate on the skills you perform (e.g. putting). It should also facilitate a reduction in cognitive anxiety and physiological arousal, allowing you to be relaxed and confident. One possible breathing technique is a 1:2 breathing ratio. This involves exhaling for twice the time that you inhale e.g. breathing in for 4 seconds, then breathing out for 8. This should allow you to control your breathing rate and reduce your physiological arousal. You could even create a pre-shot breathing routine to perform before taking each shot to ensure you are at optimal arousal, similar to that performed by ex-England rugby player Johnny Wilkinson before taking a conversion kick. If you would like SSC services for a psychological consultation or have any questions about this article, please contact the team.